Whatever the reason—our binge-watching of The Crown, perhaps, or the royal wedding on the horizon—we can't stop thinking about Queen Elizabeth II's style and how it's so much more than you might imagine at first. Sure, we spend a great deal of time decoding the wardrobes of Kate Middleton (and will undoubtedly give Meghan Markle the same amount of attention), but our monarch's magnificent fashion collection will always fascinate us. Iris Apfel may often take the crown as the coolest nonagenarian in town, but we reckon she's got some stiff competition from Her Majesty the Queen. Go through the gallery to see some of Elizabeth's best style moments of all time. Tones of mustard and beige, a printed headscarf… This ensemble couldn't be more 2018. Tip #1: Take a theme and run with it. Always a fan of pink, Elizabeth has perhaps worn these rosy hues more than any others in public over the years. The kind of tea dress we'd like to get our hands on today, this 1947 frock is all kinds of perfect. 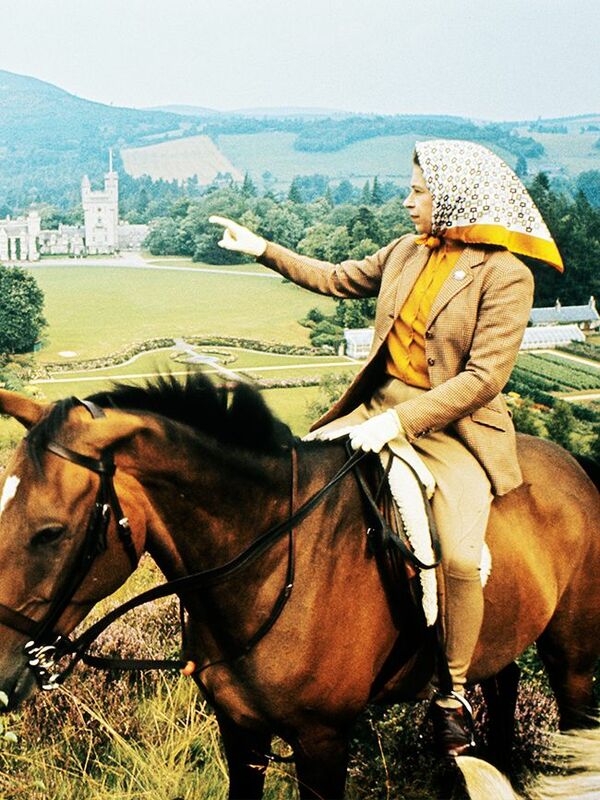 Side-saddle pose, military uniform and a stern glare, HRH looks regal, strong and a little sassy. Who says print clashing is just for Olivia Palermo? The queen tripled up on florals in this standout look. On her honeymoon in Malta, Elizabeth wore one of many natty skirt suits for a high-profile appearance. Queen Elizabeth's stunning wedding dress featured an elaborate train. Will Meghan take any tips for her forthcoming nuptials? Matching capes to your skirts—a new idea that we're willing to try next fashion week. Queen Elizabeth's approach to jewellery is very similar to ours: More is more. How to make a summer dress more sophisticated: Add white gloves, a matching hat and a sparkling brooch. The archetypal regal look: white gown, fur stole, satin sash and an excess of diamonds. The queen has long been a fan of white accessories—knowing that they work with countless outfits. Lace dresses aren't just for weddings. This summer look from HRH proves it. You probably haven't seen this 1999 gown before, but I wanted to share. It proves how bold Elizabeth can be. The Elizabeth Line is lilac, and the queen sure knows how to dress memorably for an occasion. While pink is a common favourite for Her Majesty, there's a lot of yellow in her back catalogue. Making the Met Gala look like child's play… It's rare we see such stunning gowns these days. And you thought this year's sequined dresses were good. The print that always looks modern: Queen Elizabeth's vintage polka-dot outfit just hasn't dated. Next up? Anna Wintour's best style moments.